Tune in to this episode of Columbus! Something New to enjoy our interview with Philip J. Hickman and Adam Simon with Actors’ Theatre of Columbus. We chat about Best of the ‘bus, 934 Fest, 2x2 Fest, Wolf’s Ridge Brewery, and Franklin Park Conservatory. Thinking we were beating the heat, Burke, Carrigan and I went to the Franklin Park Conservatory on Saturday. The heat was as undeniable as the beauty! But we enjoyed every minute, learned important bonsai information, and I ate my favorite scone in the world! 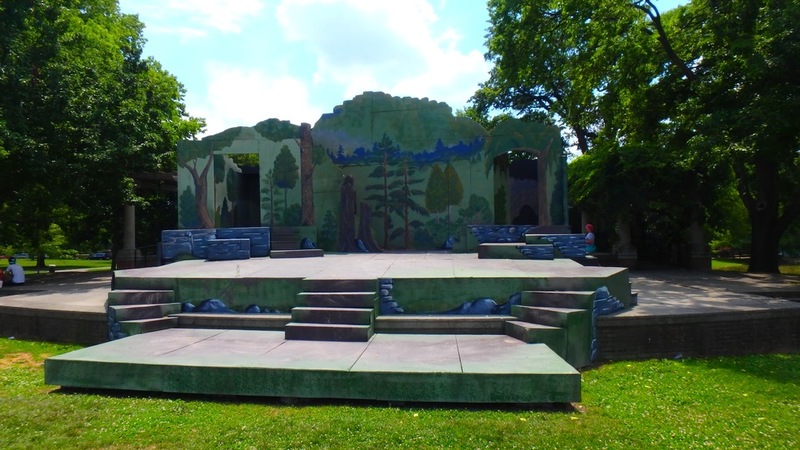 Live performances are every Thursday-Sunday starting at 8pm at the Schiller Park stage Memorial Day through Labor Day. Listen in as Philip and Adam share tips for many ways to enjoy the performances. Thursday Jessica and Jason attended Best of the 'bus, tasted lots of food, got awesome swag (I am jealous), and watched the awards! Jessica and Jason had friends over for the weekend and they kept them busy at the 2x2 Fest, Brunch at Wolf’s Ridge Brewery, and the 934 Fest. The 934 Fest was at a small gallery that Jessica highly recommends, and featured artists painting large panels. The 2x2 Fest featured more space than Jessica expected, and Jason enjoyed his favorite hip hop! Added bonus, they got to take home an event poster signed by the artist! Sunday brunch was at Wolf's Ridge Brewery. We then discuss what exactly is a toad in a hole vs. egg in a blanket and the goopiness of egg yolk.